This month… I’ve become even more of a caffeine addict. So don’t be surprised to see an overwhelming number of coffee-related posts to come. See the previous versions here. Bun Cha Vietnamese is new to the Soho area, located up the hill from PMQ. The prices are very decent for the area (under HK$200 per person) and most importantly, they serve the best beef pho I’ve had in Hong Kong. 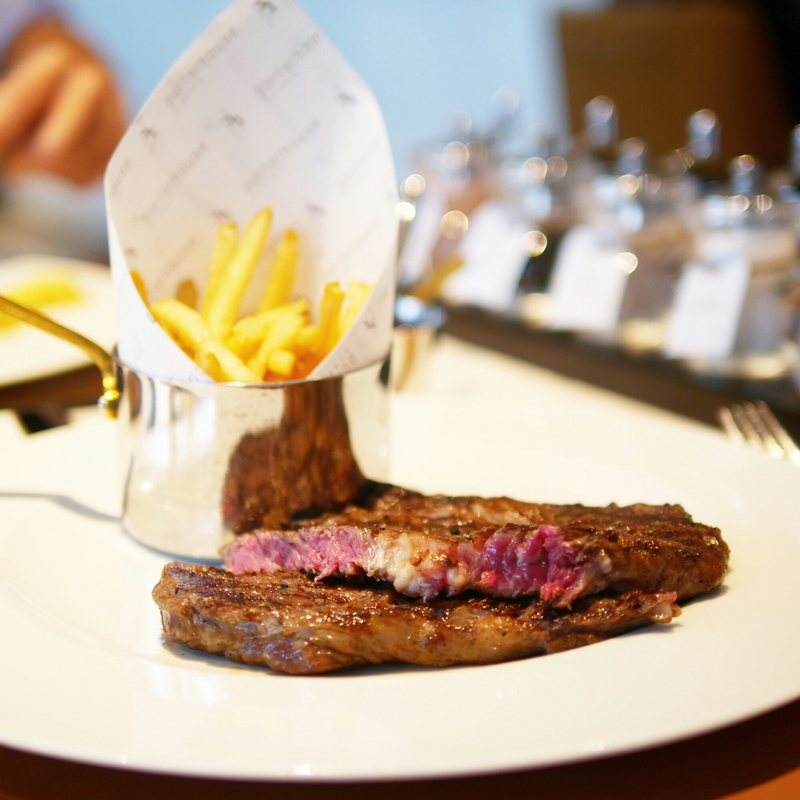 Porterhouse by Laris does a great value lunch set on weekdays for HK$158 for two courses and HK$168 for three. They’re not really as steakhouse-y as their name suggests, dishing out extremely fresh salads for starters and great pastas for mains, in addition to good steak. 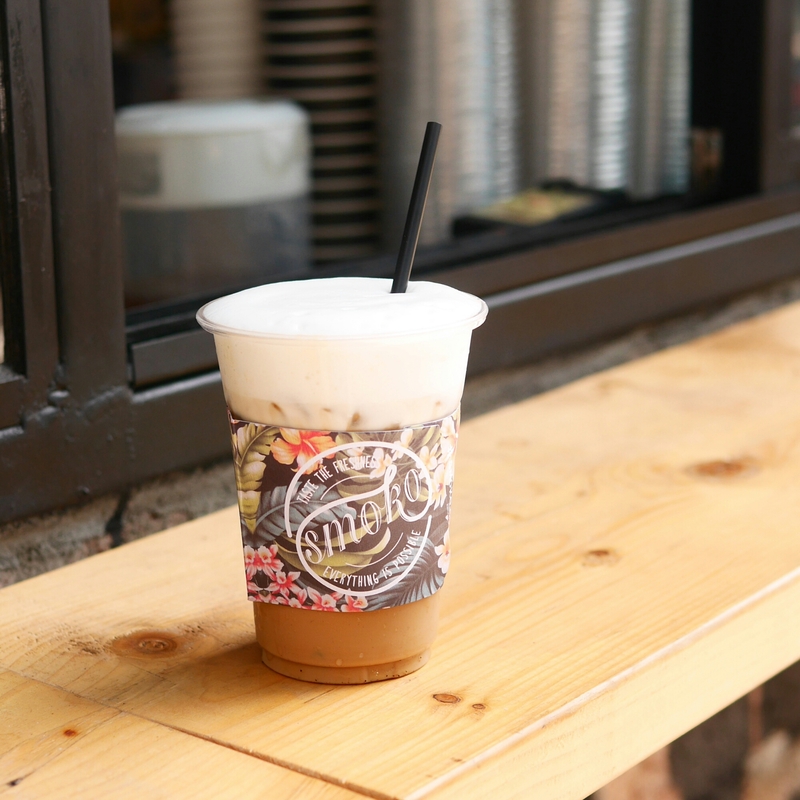 Smoko is a hole-in-the-wall type coffee shop in Fortress Hill. I rarely venture to that part of Hong Kong but their beautifully girly cup sleeves and hipster deco lured me into an MTR ride there during my lunch break. I had to stand in the heat but the iced cappuccino and croissandwich there did not disappoint! Elephant Grounds has a pop-up cafe in K11 until the end of this month (31 August 2015) featuring an exclusive Ferrero Rocher-inspired version of their landmark ice cream sandwich and other delicious ice cream flavours. Read more here. 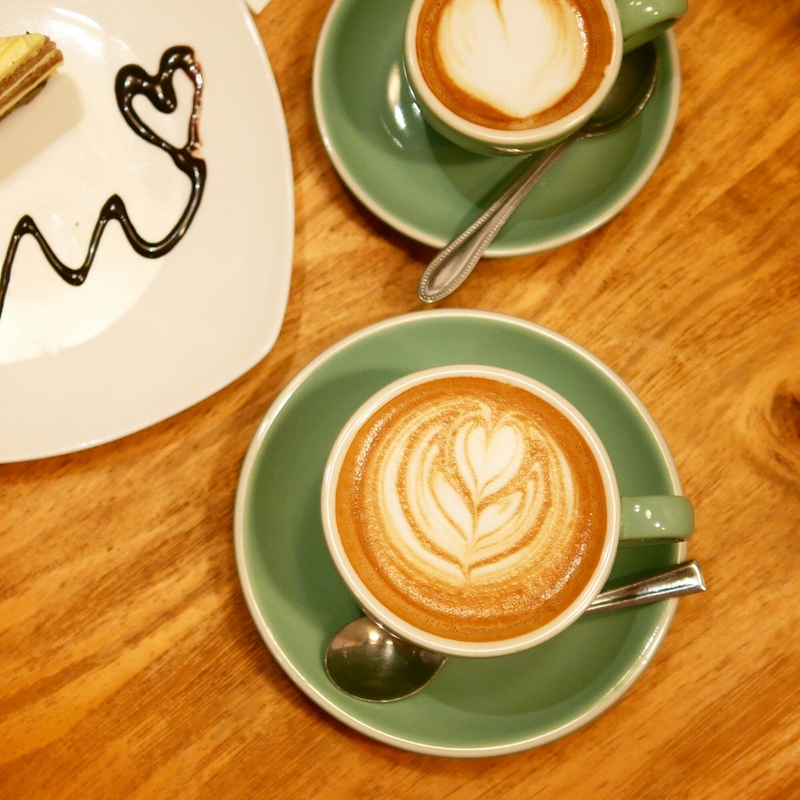 Scarlett is a casual and social French cafe hidden in Tsim Sha Tsui on Austin Avenue. Their food is quite value for money and ambience is great for group gatherings. Make sure you order their signature 1-meter chacuterie board if you’re going in a group! Read the review here. 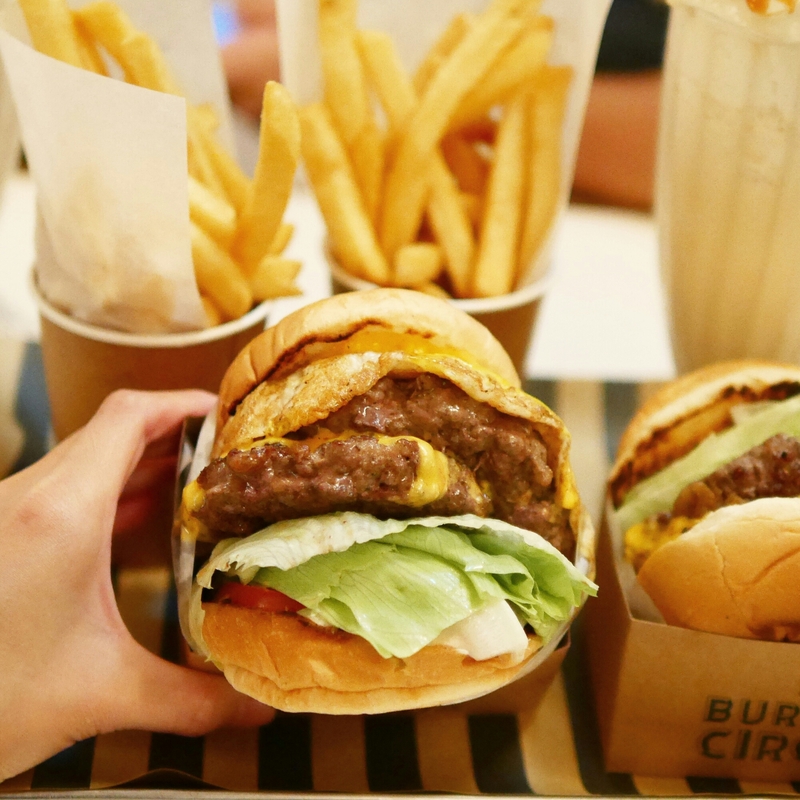 Burger Circus has been on my to-try list for the longest time. Hearing mixed reviews added to that delay and almost deterred me from trying it myself. But I loved it! The burger was juicy and fresh, and surprisingly not oily. I usually am indifferent about thick cut fries, but found these addictive! The milkshake is a must order! I do understand potential reservations nonetheless: the beef patty is not very beefily flavoured and it is quite expensive for what it is. Ruth’s Chris Steakhouse may seem old fashioned but old fashioned (aka “classic”) is where steak tastes best. Steaks here were made excellently and their crabcakes were monumental – to understate its value. I even placed it in No.3 for my top choices of steakhouses in Hong Kong. See the rest of the list here. N1 Coffee & Co is one of the many coffee shops I’ve tried out this week/month, though only one of few I’d actually return to. The flat white was perfectly balanced in taste. Although the milk wasn’t as creamy as I usually like it to be, the other characteristics won me over. Their piccolo was decent too but not the best I had. Definitely a recommended coffee shop nonetheless! The Pudding Nouveau is a dainty cafe restaurant in Tai Hang but their food is much more than its cafe-looks would suggest. 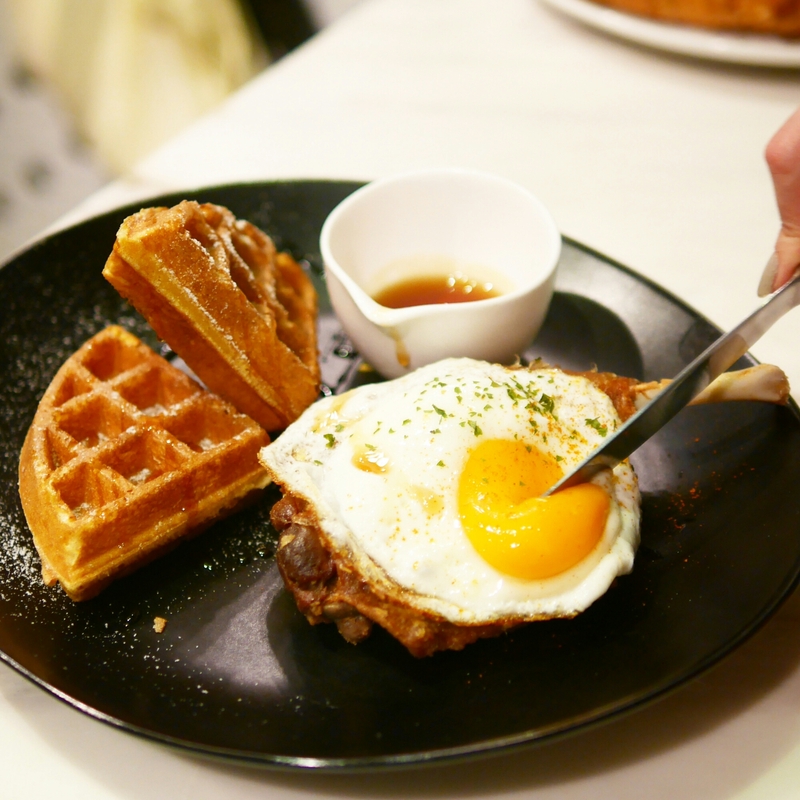 One of their signature dishes is a duck and waffle (yes, inspired by the one from London). Although I don’t have a basis for comparison, the meat was soft and pretty juicy, while the waffle was deliciously crispy! Viet Kitchen have a new menu and these items characterise the creative modern fusion style I feel this restaurant is going for. I mentioned in the full review that I wasn’t a huge fan of their pho, but their claypot caramel salmon is a must order.